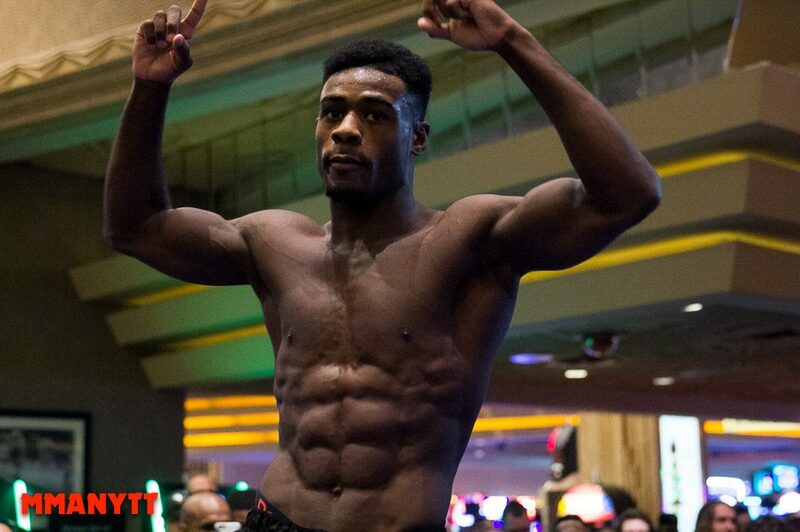 Hearing your opponent has pulled out of a scheduled fight is more often that not a bad thing, but in the case of Aljamain Sterling, he may well have just lucked out. Sterling was set to face Rani Yahya on Dec. 9 at UFC Fresno, but when Yahya pulled out with an injury on Nov. 4, the Long Island man was temporarily left without a dance partner. Thankfully, the UFC quickly found a replacement in Marlon Moraes and facing the former WSOF champion offers Sterling a big opportunity to raise his stock. Speaking to MMANytt.com earlier this week, Sterling explained how the opportunity to fight Moraes came about. “Well Jimmie Rivera didn’t want the fight and I’ve been told that he refuses to fight me,” Sterling said. “He turned down me, he turned down Moraes, and he also turned down [John] Lineker so I guess we were all kind of in a weird spot. Moraes wanted the fight and I wanted it so that’s how it happened. Moraes trains out of Mark Henry’s gym in New Jersey as well as Renzo Gracie’s BJJ gym in New York. With Sterling a member of Team Serra Longo in Long Island, the two are well aware of one another and it’s all a litttle too close to home for Sterling’s liking. “Obviously, him being a Renzo guy, the fact we’re an affiliate and that Ricardo Almeida is one of Matt Serra’s really good friends, yeh that meant this match up wasn’t ideal,” Sterling said. Both Sterling and Moraes’ teams have cross trained before, but Sterling says he’s always made sure the two haven’t worked out together given they were bound to cross paths later down the line. “I’ve never actually trained with him in particular,” Sterling said. “I knew he was going to be in free agency at some point and I knew I would be too. Before I went down there, I figured it was best that we stayed away from another. With a number of contenders now floating around the top of the 135-pounds division, Sterling is well aware that a win over someone like Moraes could put him right in the thick of the title talk. With Riviera allegedly choosing to sit on the sidelines, Sterling believes that he will eventually miss out to the fighters who continue to keep the wins ticking over. “I don’t think he will get it and I hope he doesn’t get it,” Sterling said. “I don’t think he deserves it at all and he’s got no name value. If we go by rankings he’s got an argument, but who’s he actually beaten in the top-5? How does think he can jump everyone? Because he beat Thomas Almeida who Cody [Garbrandt] destroyed in the first round? Despite a title shot being in touching distance, Sterling isn’t letting himself get distracted. For the minute, all his attention is on Moraes and getting his hand raised on Dec. 9. “We’re bouth counter fighters so this should be similar to my fight with Assuncao,” Sterling said. “It’s going to be an intriguing fight. It’s will either be very slow or a fast crazy paced fight.